I apologise about the very poor lighting for these photos. I love Autumn but the weather has just been an absolute nightmare of late for taking any photos at all; if it isn't gale force winds ruining our photos it is the very weak and unflattering light! 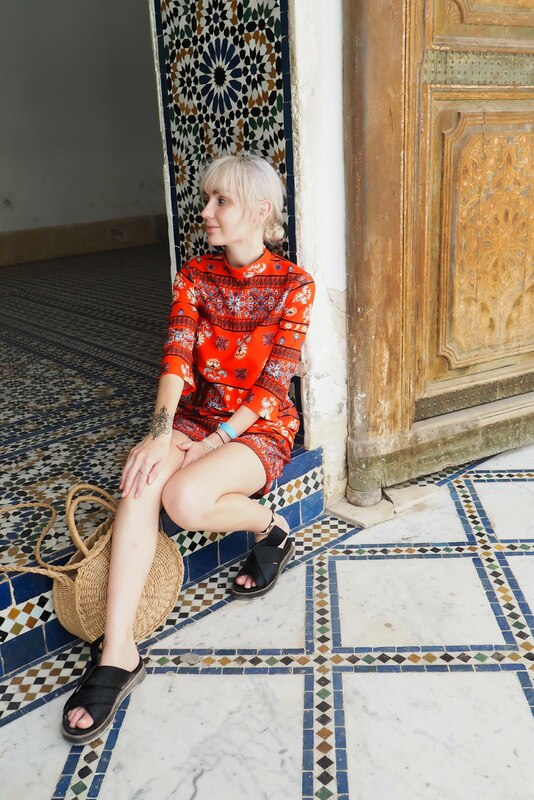 (#bloggerproblems) Anyway onto the outfit. The jumper is another new addition from the Next vouchers which I won a few weeks ago (I'm also off to London tomorrow for a weekend away which was part of the prize so I am very excited at this moment in time! Look out for a blog post next week!) It's so Christmassy with the glitter and glitz and is definitely one of the most comfy jumpers I own. The little pink bag was also a win buy from the £500 Debenhams vouchers I won. I think it's so adorable and makes a nice contrast to the all black of the rest of the outfit! I love the textures in this outfit! Have a fabulous time in London - congrats on your voucher wins! 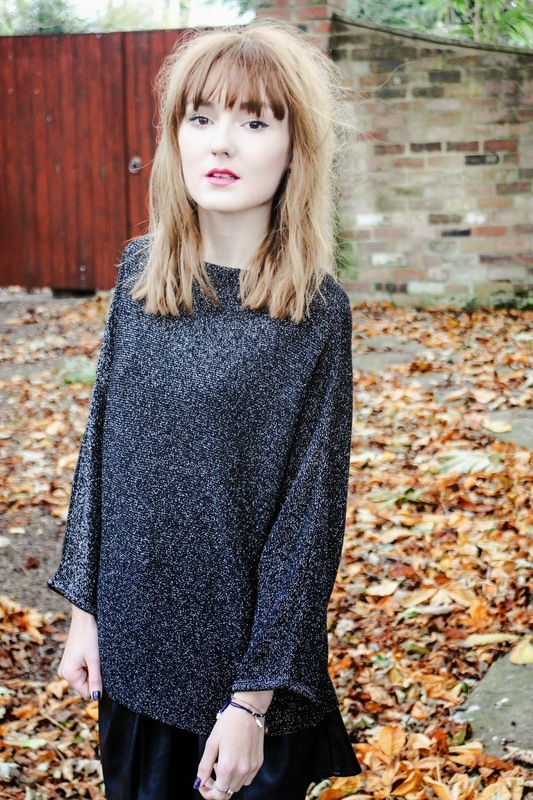 The black glitter jumper is going to be great for the festive season! The bag is adorable. 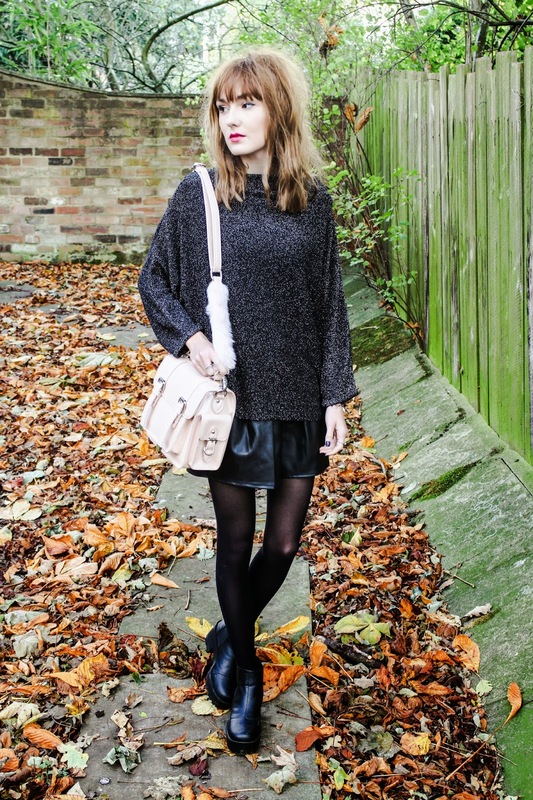 Such a lovely Autumnal look! Love the glittery top with the leather. Loving this jumper, perfect amount of sparkle! Thank you! I use a Canon EOS M, I love it! So cute! I love the short skirt and cozy sweater combo. Definitely one of my go-tos in autumn. Plus I have a weakness for anything in a blush pink colour, so I love the bag! 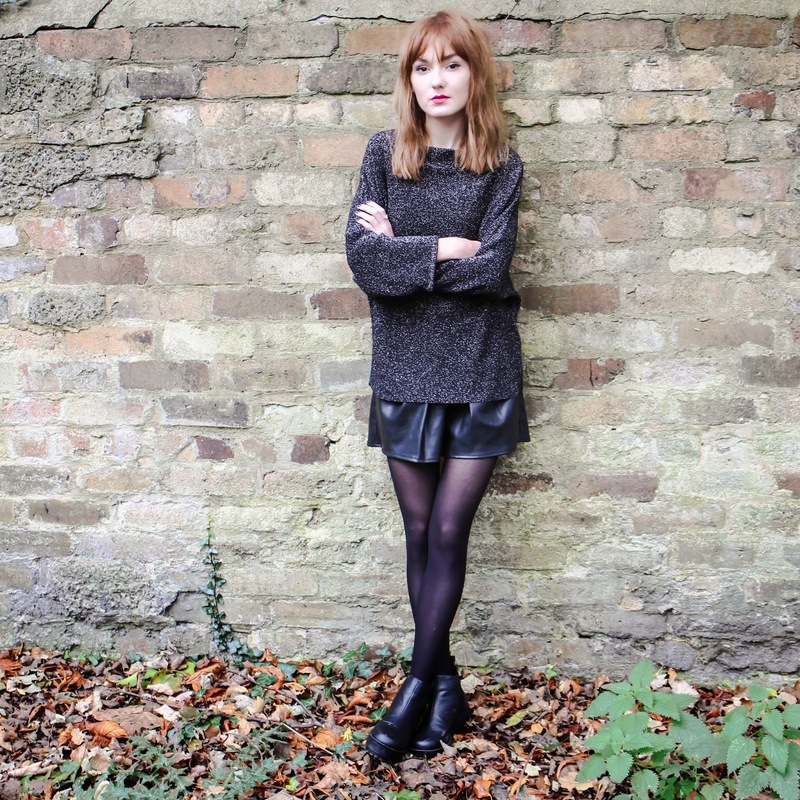 I'm starting to obsess over metallic knits, I like the oversized fit of this one! I've got a thing about sparkly jumpers and this one is right up my street, I love it because it's not too 'in your face' or garish, just really cute and perfect for the festive season. That jumper is stunning, I definitely want one! You pull off this look so well, black clothing is my fave! the sweater is so gorgeous I want it.